Las Vegas has evolved into one of the world’s greatest holiday destinations, and there’s no better time than now to travel and experience it for yourself. Nearly 40 million tourists visit Las Vegas every year, and it’s easy to see why the city has something for everyone, with unparalleled attractions, shopping, dining, pools, spas, golf, the biggest names in entertainment and sizzling nightlife. It’s the kind of excitement that only a Las Vegas holiday can deliver. No matter if you’ve been here before or this is your first time, there’s always something new and spectacular to see or do in Las Vegas. After all, it isn’t called the Entertainment Capital of the World for nothing. The iconic Las Vegas Strip is home to restaurants of world-renowned chefs, beautiful luxury resorts, international designer shopping, never-ending entertainment, world-class shows and, of course, all the gaming Vegas is famous for. You can do everything Vegas is known for, such as taking a picture at the famous Welcome to Las Vegas sign, or you can do something unexpected like enjoying a cup of tea at the Mandarin Oriental. Looking for something adventurous? If you’ve recently conquered your fear of heights, you might want to take the 108-story controlled free fall of SkyJump at the Stratosphere. As if that wasn’t enough adventure, you can also dive with sharks at the Shark Reef Aquarium at Mandalay Bay. No matter what your comfort level, there are hundreds of ways to spend your days and nights on the Las Vegas Strip. Downtown Las Vegas has exciting nightlife, classic Vegas casinos and delicious restaurants packed into just a few blocks. Start your night off with a couple of drinks at one of Fremont’s newest hot spots like the Downtown Cocktail Lounge, Parks on Fremont or Commonwealth. Then, head over to any one of the great venues that offer live music, such as the open-mic piano bar, Don’t Tell Mama or the ever-bustling stages of Beauty Bar. Partake in the unique experiences offered at the many specialty bars and lounges or experience SlotZilla, the high-speed zip line over Fremont Street and under the giant video canopy. After the excitement of the Strip and Fremont Street, you might want to take a break from the bright lights of Vegas. After dusk isn’t the only time to have an unforgettable experience in Las Vegas. If you’re a nature lover, you might want to venture into Red Rock Canyon for a day of breathtaking hiking. Or, if you’re interested in a little fun in the sun, you’ll want to head over to the brand new Wet&Wild water park. Curious about seeing a little Las Vegas history? Check out the Neon Museum full of one-of-a-kind signs that once adorned hotels and casinos from Fremont to the Strip. There are so many entertainment options all around Las Vegas, you’ll find yourself wishing you had planned for an extra day. Or week. For people coming of the first time and for a great breakfast/lunch try Mon Ami Gabi at Paris Las Vegas, right on The Strip and across from the Bellagio fountains and perfect for people watching. 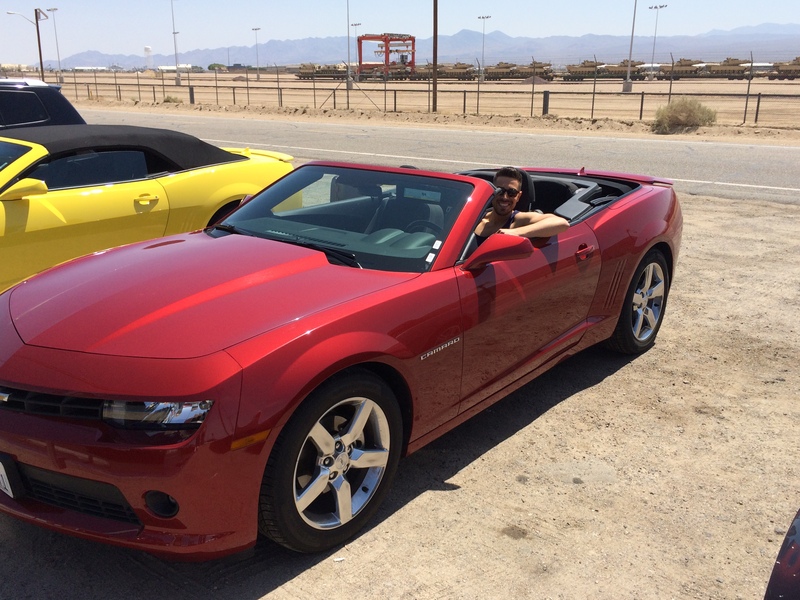 Cruising the Strip is required for any first-timer, by car or by foot. Check out the signs for the Cirque du Soleil shows; the people back home will expect you to see at least one of them. You almost have to try your luck at a casino… Hungry yet? Las Vegas used to be famous for buffets. Now it’s more about celebrity chefs, but as a first-timer, you need to try a buffet. 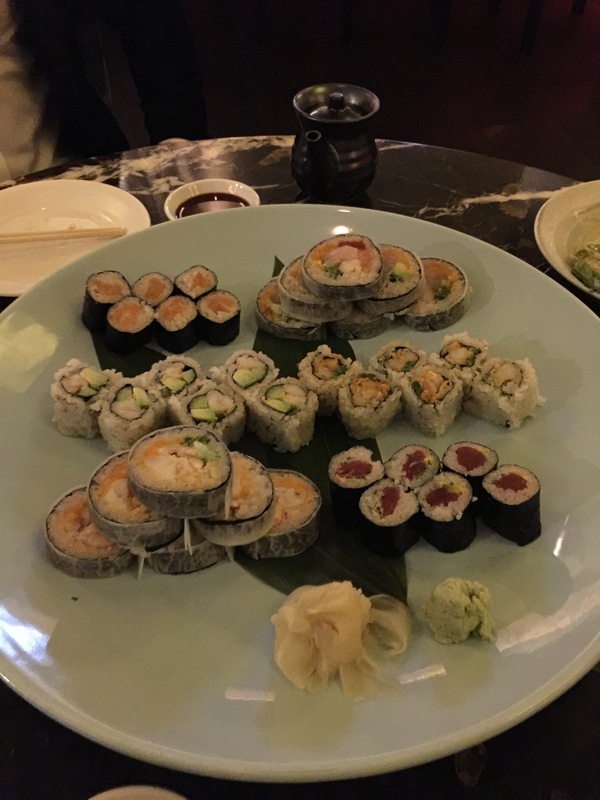 The Buffet at the Bellagio will satisfy your palate with international selections, while Cravings Buffet at the Mirage offers 11 cooking stations. There are obviously a lot of places to stay, the Bellagio is amazing and be sure to book a fountain view room to see the spectacular water fountain display from your bedroom. Caesars Palace is another superb hotel and very popular and an amazing foyer. 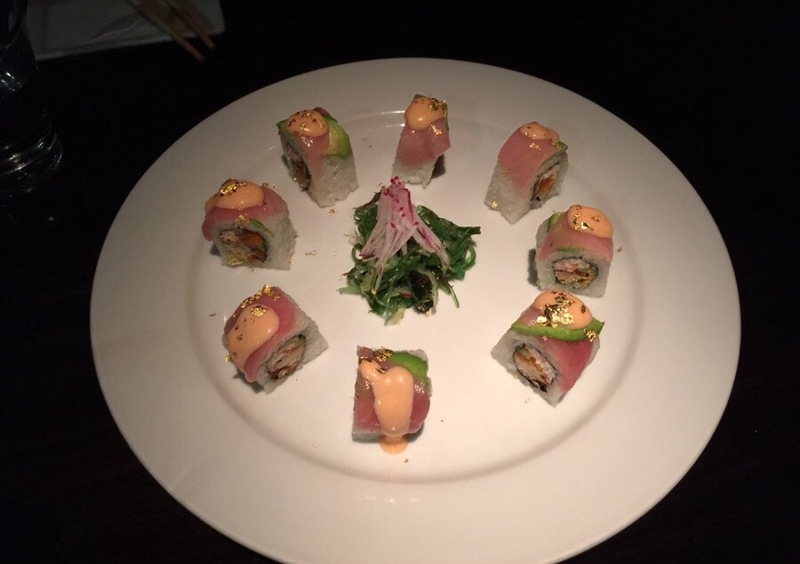 In Caesars if you love sushi make sure you head to Nobu for a great night. 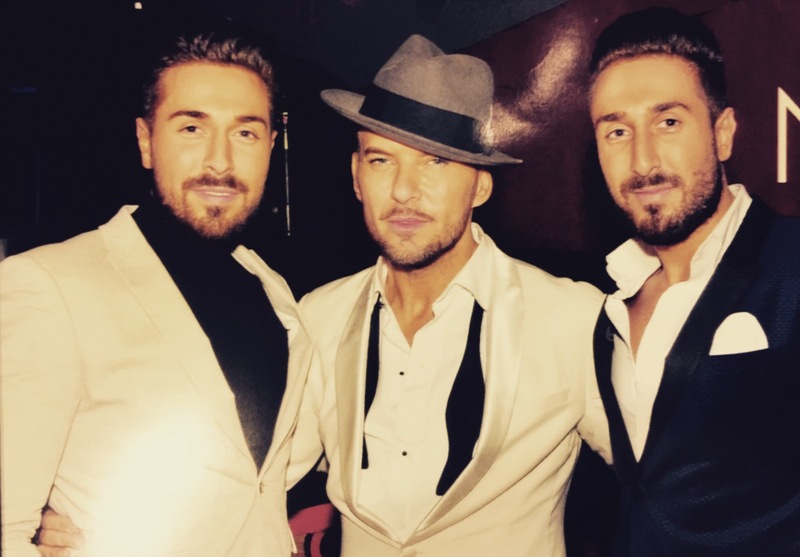 While at Caesars don’t forget to go and see singer and showman Matt Goss at the Gossy Room. 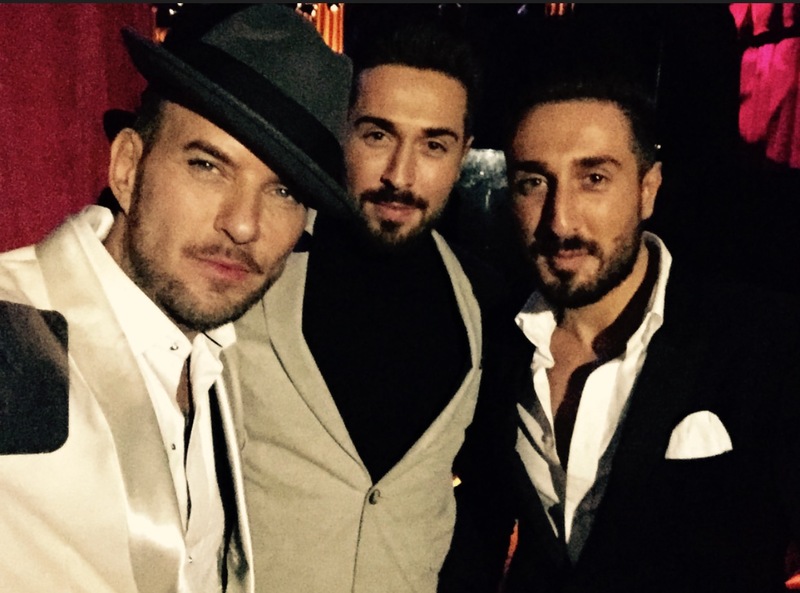 No one can bring as much style and swagger to a Las Vegas showroom as hit Brit singing sensation, Matt Goss. This intimate show features a dynamic blend of musical talent and an awe-inspiring performance.Boasting a palpable charm and breathtaking voice, the tuxedo-clad crooner brought back the classic Vegas lounge show with a dynamic, modern twist. Goss performs multiple songs in this nearly two-hour spectacular. He’s backed by a talented nine-piece band with horn section, two gorgeous backup singers and four burlesque dancers, The Dirty Virgins. A household name in Europe, Goss has sold more than 17 million records worldwide and sold out shows from Wembley Stadium to the Royal Albert Hall. His debut album went 7 times platinum, spawned 13 top 5 hits, and remained on the U.K. charts for an astonishing 84 weeks. “Life You Imagine,” Goss’s latest solo album, is the classy, swinging sound of ambition, passion, and the realization of 27 years of experience in the music industry. If Goss’s pop career hit an early peak with “I Owe You Nothing” and “When Will I Be Famous,” classic hits he enjoyed with Bros when he was just 17, it reaches an impressive new high with this album. “Life You Imagine” was sprung to life by the singer and showman’s long-running, hot-ticket resident show. In between covers spanning musical genres, such as “Hotel California” and “Superstition,” he performs his own hits off several albums. Giving a nod to the legendary Rat Pack, Goss brings down the house with “I’ve Got the World on a String” and “Luck be a Lady,” recorded by the legendary Frank Sinatra. 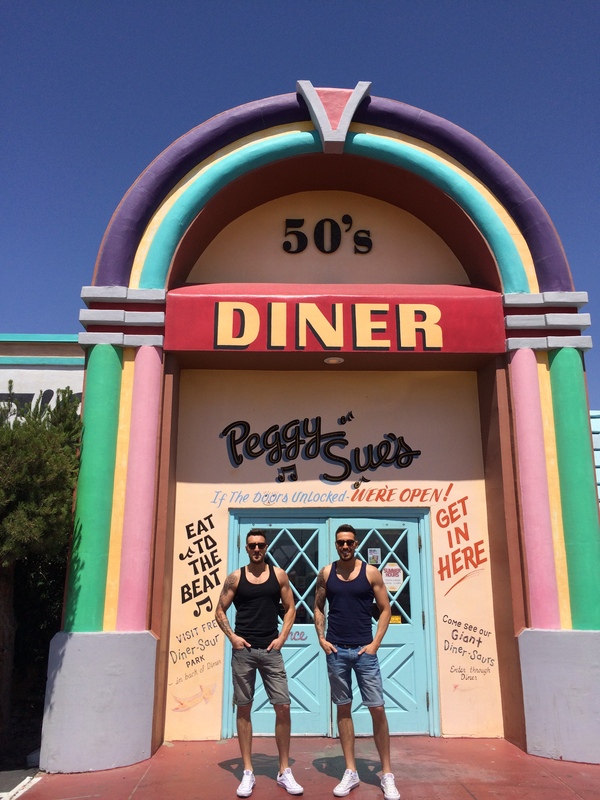 If your travelling from LA to Vegas by car be sure to stop off at the infamous Peggy Sues’s 50’s Diner along the way. Peggy Sue’s is an original roadside Diner, built in 1954 it sets in on the shadow of the Calico Mountains and was built from railroad ties and mortar from the nearby Union Pacific Rail yard. It is your typical American diner, with a great atmosphere and really takes you back in time. Be sure to stop here on your way to Vegas, you do not want to miss it. So go enjoy the bright lights of Las Vegas and remember… Everything and anything you want to do, you can do in Las Vegas.